Sareena Bamrah is a Director at Accuracy. 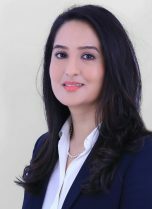 Sareena has spent 12 years specialising in quantifying complex business interruption claims within a wide range of industries including petro-chemical, oil and gas, power and energy, logistics and hospitality sectors. She was involved with major contingent business interruption losses arising from the Thailand Floods and the UK Riots. She has also been appointed to lead the quantum analysis for the high profile hotel fire loss in Dubai in 2015. In addition to BI claims, Sareena has measured delay in start-up claims for large construction projects. Sareena has previously worked as a Senior Accountant at Matson, Driscoll and Damico Forensic Accountants, where she was based in Santiago (Chile), responding to major claims resulting from the Chilean Earthquakes. Prior to this, she spent four years working for Navigant Consulting, specialising in the provision of delay and quantum analysis for expert witnesses testifying for international arbitrations. Sareena speaks English, Spanish and Hindi. Sareena has significant experience quantifying complex business interruption losses in the following industries, including but not limited to petro-chemical, oil and gas, power and energy, logistics and hospitality sectors. With over 12 years of industry experience, Sareena has been appointed to provide quantum expertise to clients successfully settling major claims for business interruption. She has also assisted with the quantification of large delay in start-up construction claims in the middle-east region. Claim for Property Damage and Business Interruption resulting from a hotel fire in Dubai, UAE. Claim for Business Interruption leading to subrogated recovery for uninsured losses following damage to vessel owner located in Fujairah, UAE. Contingent Business Interruption claim suffered by logistics provider to hard disk drive manufacturer following the Thailand floods in 2011, Bangkok, Thailand. Claim for Business Interruption due to machinery breakdown at a cement factory facility located in Umbab, Qatar. Claim for Increase in Cost of Working resulting from a gas turbine failure at plant located in Halfaya, Iraq. Claim for Business Interruption and Increase in Cost of Working due to a filtration issue of the rolling mill at sugar refining sites located in Slovakia and Singapore. Power business interruption claim for electricity provider located in Scotland. Contingent Business Interruption Loss suffered by Japanese pharmaceutical in the USA following a fire at their packaging facility in the UK. Claim for Business Interruption experienced by the largest wine exporter in Chile following the earthquakes in 2010, Santiago, Chile. Delay in Start-Up Review conducted on a Chemical Company for the largest petrochemical construction project in Jubail II, Saudi Arabia. Loss of Production Income (LOPI) quantification measured for oil and gas exploration company in Bolivia.